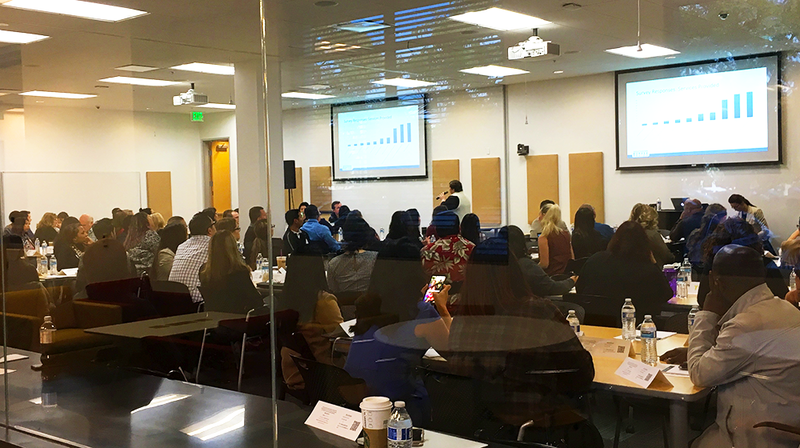 January 29 marked the launch of a regional Business Services Collaborative convened by the San Diego Workforce Partnership. 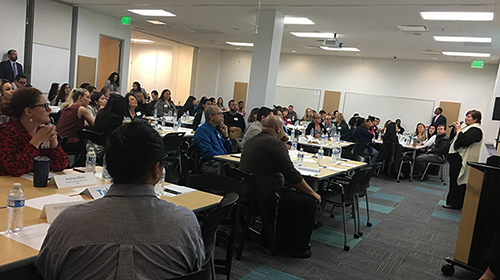 This collaborative marks the first of its kind to bring together people who serve businesses in the Southern Border Region, which includes San Diego County and Imperial County. The group welcomes all business services representatives, consultants, job developers, managers, and the like, from any program or organization across the region who are interested in participating. It also set the groundwork for leveraging talent and funding to create a cohesive network of business serving entities. It does so by linking hundreds of business development professionals through co-developed promotion and consumer education and data sharing. “This is a great opportunity to focus our efforts to expand our reach on businesses,” says Workforce Partnership Business Partnership Specialist Robert Chu. One of the most valuable elements of the collaborative is its blend of focusing on long-term, system-wide improvements along with more tactical training and discussion, which can be implemented immediately. We must cross the divide from a “professional visitor” to a “trusted advisor.” If you work solely to increase the quality of your service to the business owners, the numbers will come. Rationalizing does not often lead to success—most situations can be resolved with a yes or no answer. If you are working with a business owner, do not overpromise something that you are not 100% sure you can deliver. The collaborative concluded with a call to action for attendees to join smaller working groups to keep the momentum going between larger meetings. The Business Services Collaborative will continue to convene on a quarterly basis with a focus on different topics of improvement. If you’d like to get involved, email business@workforce.org.